How Are You Measuring SEO Success? Search Engine Optimization (SEO) is a messy arena. It can be ambiguous at times. The landscape, rules, and best practices are constantly evolving, so evaluating SEO success with traditional metrics is difficult, if not impossible. In another arena, like cable TV, the process is simple: You pay for the add space, x number of people see the add, and a percentage of those people are converted to customers. The variables in that scenario are pretty simple. SEO is different, but the results you see from these practices can greatly exceed traditional advertising in terms of return on investment. So, how do you measure SEO success? 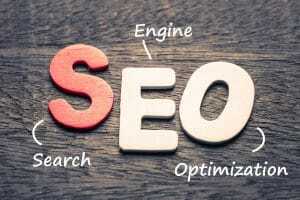 Just as with any other marketing technique, you need to have some sort of goal to measure the results of your SEO efforts. The goal can be a percentage increase in newsletter subscriptions or site traffic over a period of time — in any case, setting a goal with a time frame and sticking to it is key. Setting measurable goals will prevent you from getting caught up in the minutiae of every last optimization metric. There are a number of different ways to achieve any given SEO goal, so having a consistent way to measure results is vital for everyone’s peace of mind. Another reason why it’s so important to set goals as a measure of success for SEO practices is that the industry best practices will change. Google is constantly tweaking its algorithm, and the search giant doesn’t simply tell everyone how search results are generated (this would defeat the point of organic search). For that reason, the best practices for blogging, site copy, and metadata will always change to some slight degree. Your SEO team needs to be able to roll with the punches in a shifting landscape. That’s why consistent goals are so valuable. Do You Receive SEO Spam Emails? You may have received emails or phone calls about your SEO practices being out of date, or promising to double your site traffic. This practice is unfortunately common in the field of SEO marketing. Spammers can prey on clients by using surface-level metrics to demonstrate the flaws in an SEO program. Remember, the metrics for optimization (of which there are so many) aren’t as valuable as the goals you set. MDPM Consulting is a digital marketing firm that specializes in working with dental practices. We use organic SEO practices and social media to help increase your site traffic and build your online reputation. We want to know what your goals are as a dental practice. Then we can talk about how to achieve those goals. If you want to learn more about the power of SEO, contact MDPM Consulting in Dallas, TX at 972-781-8861.